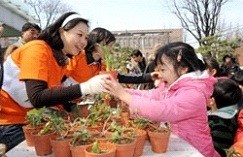 This year marks the 66th National Arbor Day in Korea, which falls on April 5th. Known in Korean as “Sikmogil” (literally “tree-planting day”), a nationwide tree planting campaign takes place every year at government offices, villages, army bases, workplaces and schools. Korea, having been a thoroughly agricultural society for most of its history, has always considered April a good time for planting. It also happens to be the day King Seongjong (1457-1494) of the Joseon Dynasty (1392-1910) demonstrated tilling the land at Seonnongdan, the Altar of Agriculture, for the royal family in 1343. The fervor for tree planting grew after the country went through the trials of Japanese colonial times (1910-1945) and the Korean War (1950-53) left the country’s hills and mountains almost bare, either cut down for fuel or construction resources or simply burnt down. In the 21st century, National Arbor Day has become something more than just re-foresting mountains and hills. 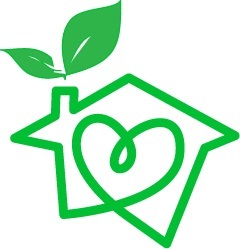 With climate change, the greenhouse effect and other environmental hazards around the globe, it has become imperative to increase the number of trees that not only help to ease flooding and other kinds of natural disasters, but also to capture carbon dioxide and emit clean air. Bear in mind, low carbon green growth is one of the key government policies these days. Arbor Day (from the Latin arbor, meaning tree) is a holiday in which individuals and groups are encouraged to plant and an estimated 1 million trees were planted that day.